Due to current backlog WE WILL NOT BE SCHEDULING ANY SIDECAR INSTALLATIONS until further notice. 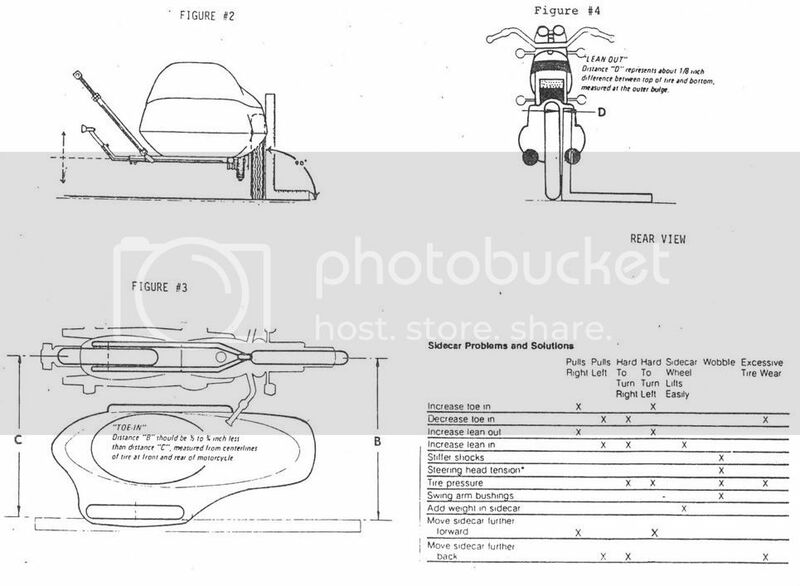 Scrambler Cycle does not manufacture sidecars. We also do not keep any sort of inventory of new sidecars. Any new sidecar would be special order from the manufacturer depending upon the buyers needs. Does your sidecar rig steer harder than it should? Do you wear through tires fast? 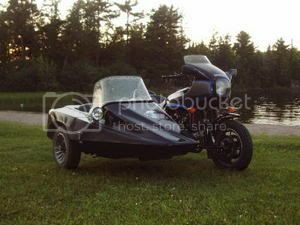 Does your sidecar rig always want to steer you into the ditch? These things can all be a result of poor sidecar alignment and overall sidecar setup. Call today to gt your sidecar in and get it realigned, your sore shoulders will thank you. Ever wondered what sidecar owners do with their free time? They get together with other sidecar crazies. Check out the link to the right and it will take you to a site dedicated to our sidecar rally. Next year will be our 8th year for this fine event. All are welcome.